Lest anyone think that I only emphasise Truth “every once and a while”, here is Part 2. Actually in ALL my articles I emphasise truth, it IS the foundation, cornerstone, walls, and capstone of this entire site and MY LIFE. Jesus said THAT ye shall KNOW THE TRUTH, and THE TRUTH shall make you FREE, (John 8:31, 32) Jesus also said that The Bible IS TRUTH (John 17:17), and HE IS TRUTH (John 14:6). love, mercy, grace, or compassion. CHRIST SAID THIS ABOUT TRUTH. but nonetheless to speak THE TRUTH. What is pleasant is NOT always Truth. What is popular is NOT always Truth. TRUTH IS ALWAYS TRUTH– EVEN IF NO ONE BELIEVES IT. ONE’S LACK OF BELIEF THAT FIRE IS HOT, WATER IS WET, AND THAT GRAVITY WORKS ON EVERYONE THE SAME EVERYWHERE DOES NOT CHANGE THE TRUTH. TRUTH IS ALWAYS TRUTH FOR ALL PEOPLE, OF ALL ERAS, EVERYWHEREAT ALL TIMES. TRUTH IS BOTH ABSOLUTE AND UNIVERSAL. IT’S NEVER RIGHT TO BE, SAY, AND DO WRONG. IT’S NEVER WRONG TO BE, SAY, AND DO RIGHT. As reflexive support for the president redefines their movement, most conservative commentators have caved to pressure, following along. Tom is responding to an article that reports a feud between two Conservatives, both are #AntiTrump, but one, Charles C. W. Cooke thinks Jennifer Rubin takes her #AntiTrump too far in a nit-picky way. I will NOT delve into that at all, what I will address is whether Conservatism can survive Trump. Conservatism survived Andrew Jackson, Woodrow Wilson, Herbert Hoover, FDR, Truman. JFK, LBJ, Nixon, Ford, Carter, Clinton, and Obama. IT can definitely and EASILY survive DT and his gaggle of gutless wonders and Commie sleaze-balls. I think we sorely LACK two things to survive. The will to do THE RIGHT THING(S). I don’t see ANYONE in leadership with THE WILL to DO THE RIGHT THING. I see and hear a cadre of spineless, moral-less, short-sighted, and selfish power-brokers who ONLY care about “what’s-in-it-for-me”. And I think we’ve fallen OFF the cliff of Constitutionalism, Liberty, and Morality, and that we as a NATION are about to crash-n-burn and join the ash heap of history…I see the ENTIRE WORLD headed for THE END, (Ezekiel chpts. 37-39; Zechariah chpt. 14; I Timothy 4:1-3; II Timothy 3:1-8, 12, 13; II Thessalonians 2:2-13; and Revelation chpts. 6-21). No one with THE WILL TO DO WHAT IS RIGHT. NOT ENOUGH TIME TO CORRECT IT ALL. That still does NOT change, NOR weaken The Truth. Because EVEN IF everyone including me BELIEVED, SAID, DID AND LIVED THE WRONG WAY….AND WE ALL RAN OUT TIME…The Truth IS STILL The Truth. And The Truth we’d be facing then is Almighty God and what did WE do with, and about HIS ONLY BEGOTTEN SON, THE LORD JESUS CHRIST. If you have even ONE follower who says there was no Trump-Russia collusion, please share this with them. Signs of Collusion 1-24. Signs of Collusion 25-47. It’s all there—BLACK AND WHITE—and it’s just 10% of what Mueller has. 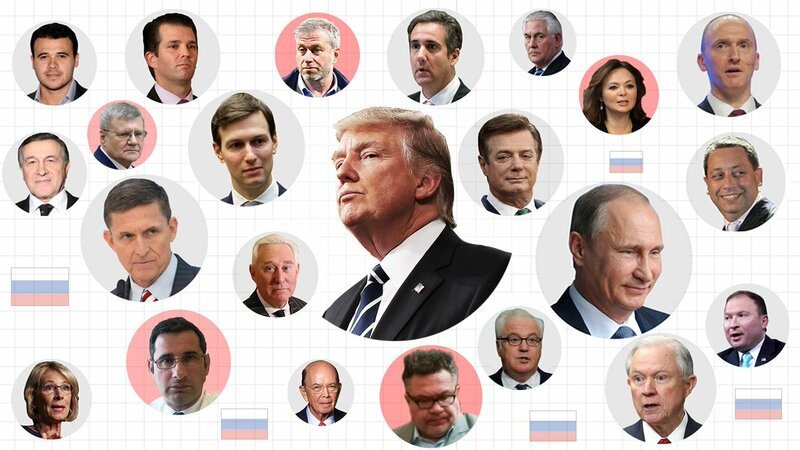 (THREAD) From Russian payments to Trump advisors to failing to register as foreign agents working for Putin allies—from perjury to illegal solicitation of campaign donations from the Kremlin—here’s a non-exhaustive summary of known Trump-Russia ties. Hope you’ll read and share. #1: In March of 2016, Papadopoulos reveals to Trump—face-to-face—he’s a Kremlin intermediary sent to establish a Trump-Putin backchannel (he says Putin is favorably disposed to Trump’s candidacy). Trump then and there orders Gordon to coordinate a pro-Kremlin GOP platform change. #2: In June 2016, Don Jr. knowingly attends a meeting with—and set up by—Kremlin agents. He asks the Kremlin for what he has reason to believe is illegally acquired Clinton material. Afterwards, he (allegedly) tells no one. When caught, he lies about every aspect of the meeting. #3: In April, July and September of 2016 Sessions meets Russian Ambassador Kislyak in settings in which Russian sanctions are discussed. He holds the latter two meetings *after* it’s known Russia is cyber-attacking America. He lies about these contacts under oath before Congress. #4: Kislyak egregiously violates longstanding diplomatic protocol to attend—as a guest of the Trump campaign—a major Trump foreign policy speech. Having been invited to the speech as a VIP, Kislyak sits in the front row as Trump promises Putin’s Russia “a good deal” on sanctions. 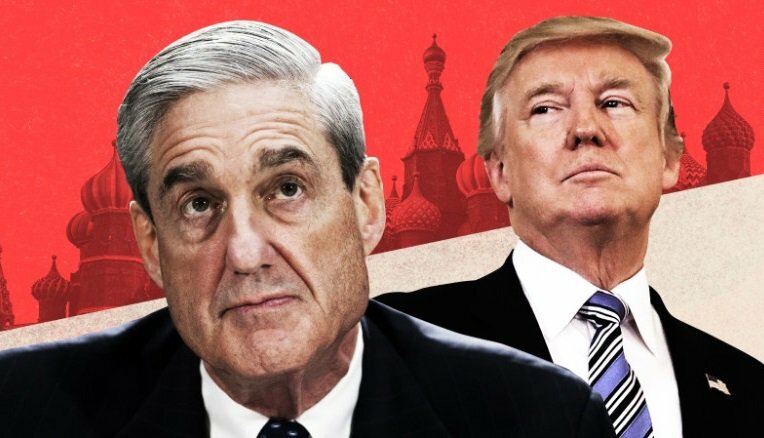 (THREAD) It turns out 24 paragraphs detailing 24 discrete Trump-Russia ties isn’t enough to encompass how entwined Trump is with Russia, so in this thread—Part 2 in the series—I offer 23 more connections. A link to Part 1 is in the first tweet, below. Hope you’ll read and share. #1: Below is a link to Part 1 of the series, which itemizes 24 discrete Trump-Russia ties. Remember: the ties detailed here are a fraction of what Special Counsel Mueller knows; we mustn’t pretend the damning evidence we have is *all* the damning evidence. LINK TO PART 1. #2: Trump NatSec advisor Erik Prince secretly traveled to UAE at the command of the UAE’s Royal Family so he could have a clandestine meeting *on Russia sanctions* with a top Putin ally—the Russian Direct Investment Fund manager. Prince lied to Congress about all aspects of this. #3: Trump NatSec advisor Flynn secretly worked with Trump pal Thomas Barrack and Iran-Contra criminal Robert “Bud” McFarlane to lobby Trump to drop Russia sanctions—the better to make money off a deal to bring nuclear technology to Saudi Arabia via Russian-built nuclear reactors. #4: In 2002, Trump tried to rig the Miss Universe pageant—by leaning illegally on judges—to award the title to Miss Russia, whose two boyfriends at the time were a) one of the top real estate developers in Saint Petersburg, a market Trump wanted access to, and b) Vladimir Putin. #5: In 2003, Trump was saved from bankruptcy by the sudden, miraculous appearance of Russian mobster Felix Sater in his orbit. Sater found Trump new partners and tenants—often, Russians—and they helped make Trump rich again. Trump then perjured himself over whether he knew Sater. And as DETAILED in 47 points, DT and Putin had DIRECT communication and ties for YEARS! AND WHAT ABOUT DT’s “WINNING COAT-TAILS”? AND, OH, WE LOST IN ALABAMA TOO…boy, I’m getting tired of all this winning….UGH!! So….what grade do I give DT? What grade do you give @realDonaldTrump first year in office? 30%- A (This the IDIOT class). 33%- B (The MORON class). 22%- C (The DUMMY class). I give DT what I give every Lying, Liberal: F–. There is NO HONEST Conservatism in/about DT, ALL LIES & PRETENSE, with massive doses of lewd vulgarity, stupidity, & egomaniacal ranting. A rabid ape on PCP would be better than DT. Conservatism is under attack. DUH. Conservatism can withstand ANY attack given the WILL to fight and TIME to win. Having said ALL that I still am happy, confident, peaceful, no stress, no worries. Because MY faith and MY hope are NOT of THIS world, NOR in any mere man. BUT WHOLLY LEAN ON JESUS’ NAME! ALL GROUND IS SINKING SAND. I KNOW that whether there is any with the WILL to correct the mess or not, or whether we have time or not….JESUS HAS IT ALL UNDER CONTROL.